The past weeks and months have been quite a whirlwind and I realized that I am not able to spend as much time as I would like online at the moment. So, after rethinking back and forth for a solution, I have come to the conclusion, that I will change the Masala Herb posting amounts and timings. No reason to worry, because I ll start to post 2 Articles per week from next week onwards. Precisely, you will continue to discover recipe and food reads on Mondays and Fridays! So Wednesday will be cut out, for the moment at least. I hope to be able to follow soon the current food world happenings more too! Otherwise what have I been up too… Well, my readers will know that right now I am in Austria, visiting my family home. I am cooking and baking my heart out with the seasonal local ingredients. Especially I am aiming on ingredients which are uncommon in our home in Goa. One of those cool, well known ingredients with which I have been working, are Chanterelle mushrooms. Surely a couple of you out there will know how rare those mushrooms are and their unique flavors when cooked. 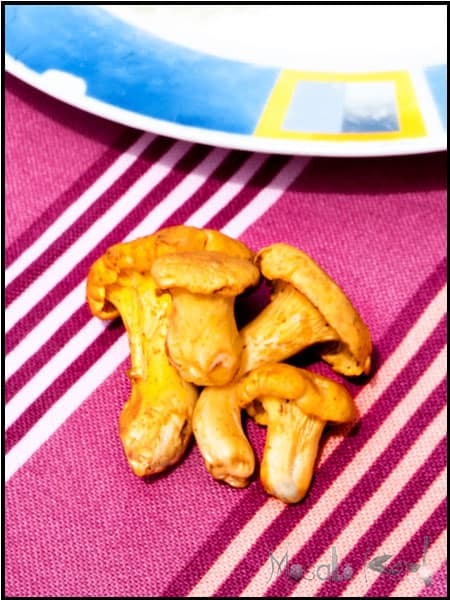 If Chanterelle mushrooms are not available in your market, then you can of course substitute them with simple button mushrooms. 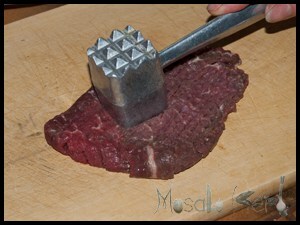 Start by hammering the beef equally flat. 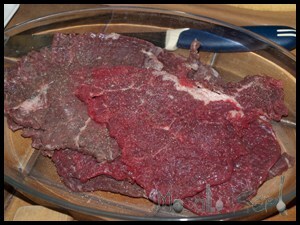 The flatter the better and easier it is to cook the beef! Salt and pepper on both sides the meat. Dice the Onion and cut the Capsicum into fine strips. Chop the Garlic. 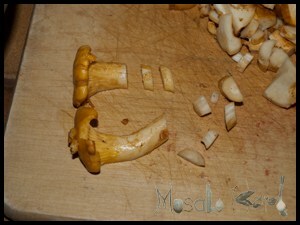 Cut the chanterelle mushrooms into small pieces as shown. Add butter to a frying pan and fry the onion and garlic for 3 min. 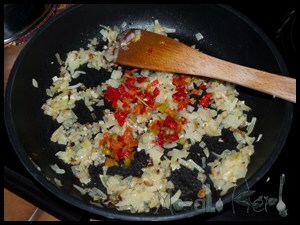 Then continue adding in the capsicum and stir fry. 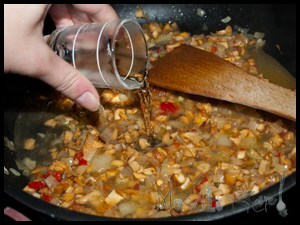 Pour in the White wine and cook for a few minutes on medium heat. Pour in the cream and season with salt, pepper, curry powder and paprika powder. Mix it all well and place in the beef schnitzel. 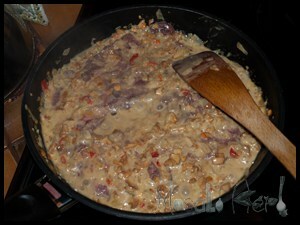 Cover the meat with the mushroom sauce and cover the pan cooking on low heat for 8 minutes. 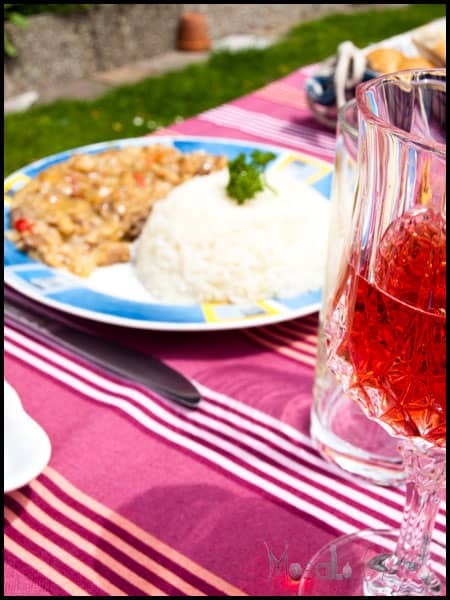 Serve with Rice, Potatoes or Spätzle noodles warm and enjoy! So nice to see a post from you! Life gets in the way of blogging so often…it’s hard to give it your 100% every single day! Your schnitzel looks fabulous…and it’s something my family would love 🙂 Have a wonderful time in Austria! 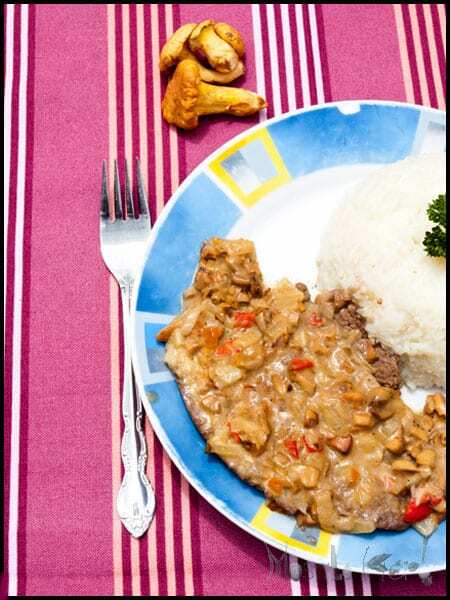 Hi, this may be interesting you: Hunter's schnitzel (Jägerschnitzel) with chanterelle mushrooms!